Every Monday From 4-8PMMonday's are infamous for being,,, well Monday's, we're hoping to change that Monday feeling with Philly Monday's! 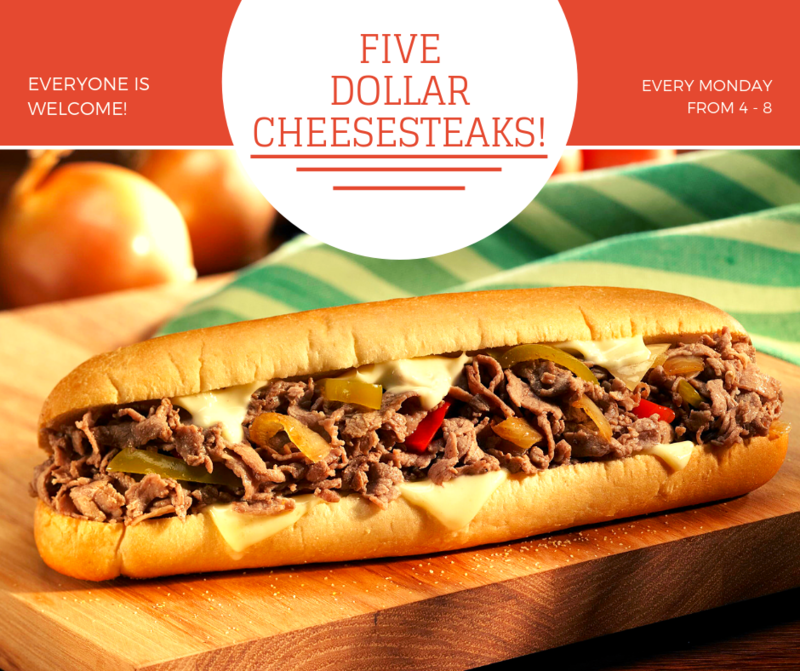 From 4-8pm drop by and enjoy a phenomenal Philly style cheesesteak... for only $5! No coupons necessary. All are welcome. Dine In Only. Don't Forget it's Happy Hour From 4-7!